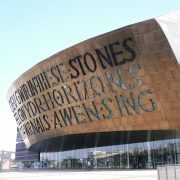 Cardiff is known for its historical landmarks and friendly people, but you might not know that it offers some great local services as well. There are hundreds to chose from and we haven’t got time to cover them all. So we are just going to cover the three best ones for those who want the finest local service in the area. Ratings are built upon three core factors: customer service, quality of service and value for money. Yes, I know this is a highly bias marketing plug…. Probably the best carpet cleaner in Cardiff reputation of providing exceptional service to all their customers. That’s why they are our top pick from Cardiff’s selections of local services. There is nothing too tough for them to tackle. They clean every type of rug and carpet, and they have been in the business for over 15 years. Their team is very experienced and friendly. Able to walk you through what your carpet needs to have done to it to look its best. They are also great at troubleshooting. Handling jobs that no one else can take and getting out stains no other cleaning service can remove. Vale carpet cleaning is who you call when no one else is up to the task or you just want the work done properly. Our second pick is the Cardiff Window Cleaning Company not only do they clean windows, but also gutters and solar panels. They use a highly advanced purfied water system that thoroughly removes all built up dirt and grime. This cleaning methods leaves no water marks or streaks behind. Like all the best local services, their team members are trained to high standards. All work is fully insured and they are safe contractor approved, Clients don’t have anything to worry about when they hire them. They serve both domestic and commercial clients with decades of knowledge and experience. Coming in at third is CCS Services. They specialise in Softwashing patios and render. And have been in business over 20 years serving the local area. How Much Do Professional Carpet Cleaning Services Cost?